If there is time, you may visit the nursing pen for the Takin, the national animal of Bhutan, and Tashichhodzong, ‘the fortress of the glorious religion’ housing some ministries, His Majesty’s secretariat, and the central monk body. Continue driving to Bumthang, home to some of Bhutan’s oldest Palaces and temples. The valley’s barley fields, apple groves and meadows lay below huge hills which climb up towards the Himalayan mountain wall separating Bhutan from Tibet. 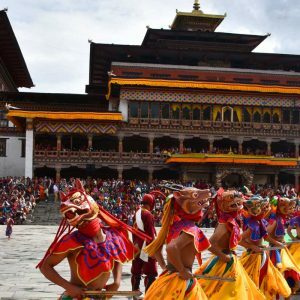 Try to stay awake until midnight to witness the opening proceedings of the Jambay Lhakhang Drup Festival, including an unusual naked dance performed to sanctify the region. 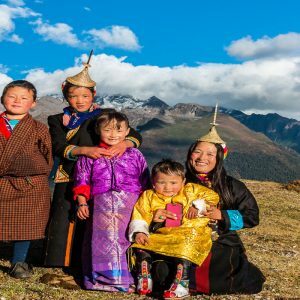 Return to experience more of the festivities at Jambay Lhakhang, or enjoy an excursion to Tang Valley, the most remote valley in the Bumthang district. Activities may include a 45 minute walk uphill to Ugyen Chholing Palace, built in the 16th century by the Trongsa Penlop Tshokey Dorji. The main building in the complex now features a fascinating museum offering a real insight into the lifestyle of a Bhutanese noble family. Highlights include a book of divination, a dakini dance costume made of bone. 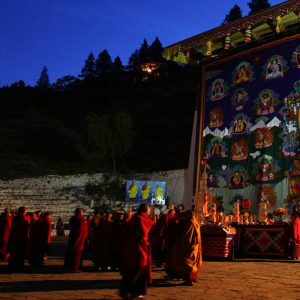 You may also visit 14th century Tang Rimochen Lhakhang where Guru Rinpoche meditated and Mebar Tsho (Burning Lake), where some of Guru Rinpoche’s treasures were found in the 15th century by the famous treasure discover Pema Lingpa. It’s a good location to meditate. In the morning visit visit Kurjey Lhakhang, one of the most sacred places in the kingdom where Bhutan’s patron saint Guru Rimpoche meditated. Afterwards drive to Punakha, stopping for lunch along the way. Drive back to Thimphu where you will enjoy lunch and have an opportunity to visit handicraft and souvenir stores. Afterwards proceed to Paro, visiting Semtokha Dzong en route. The Dzong, built in 1627, is the oldest in Bhutan. It now houses the Institute for Language and Culture studies. On arrival in Paro, check into the hotel. Afternoon at leisure. 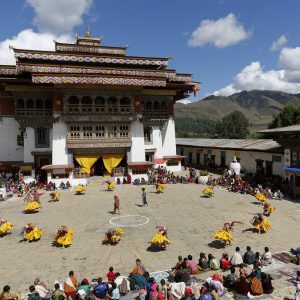 Alternatively, day 10 could be spent on a day trip to the Haa Valley, one of the most picturesque districts in Bhutan. Reached via the beautiful Chelila Pass, Haa Valley is characterised by its surrounding rugged and mountainous terrain.